Need To Liquidate Your Office? Office furniture liquidations are a tough part of business. 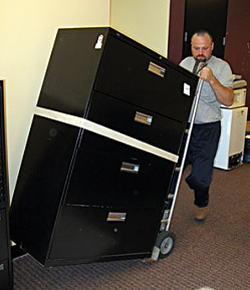 Facing that reality, we can facilitate the process of upgrading, relocating, or liquidating your office furniture assets. With years of office furniture liquidation experience we can tackle any office project - no matter the size - that comes our way. Having many contacts in the liquidation business we are able to accomplish removal after-hours or on weekends if need be to minimize office disruption. 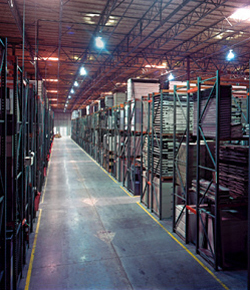 Office cubicles, desks, files, tables, & seating are the most commonly liquidated furniture items that we handle. We'll assist you in making this difficult transition as smooth as can be. Do you have needs to liquidate your office? We can help you! Fill out this simple form, and we'll get in touch with you if we are able to work with what you have to offer. All fields are required for us to consider your project. We are currently experiencing a high volume of liquidation requests, so please be patient with us. After you have completed the form you will be prompted to email us images of your liquidation inventory and inventory list file. No elevator needed, Items are located on the ground floor. Tell us about your service request.